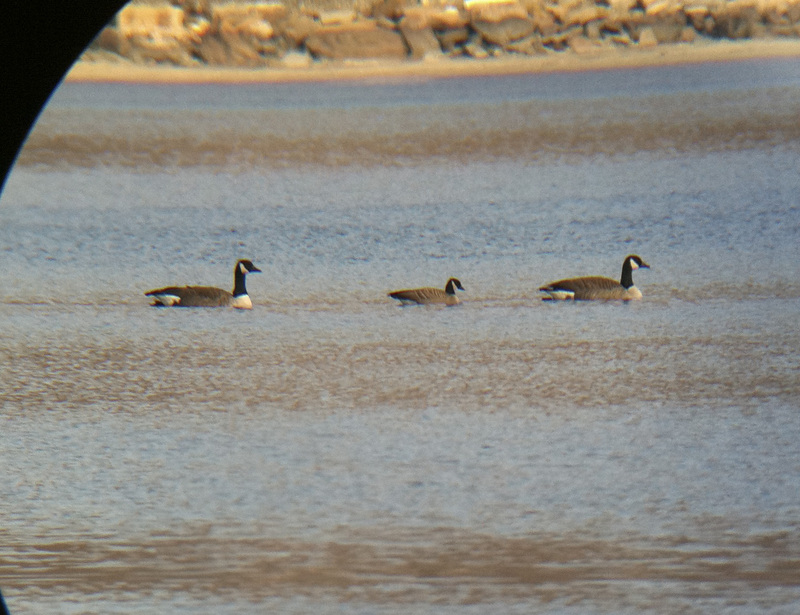 Yesterday afternoon (2/27) I stumbled across a Cackling Goose at Croton Point in Croton-on-Hudson, NY. While this species is more regular in New York State to the southeast of Croton (i.e., Long Island), this is a fairly good record for Westchester County–there are no prior county records on eBird, and, as far as I can tell, only two previous official county records (both from 2007). Cackling Goose (center) with Canada Geese. A much smaller bird overall, with a stubby beak, shorter neck, and lighter back coloration (hard to see in this photo). I watched the bird from the south side of Croton Point Park, as it slowly swam west in Croton Bay with a group of seven Canadas. Hopefully, it reappears! My name is Benjamin Van Doren, a teenage birder from NY State. Enjoy this site of my birding excursions.